December 25th is National Pumpkin Pie Day! The American colonists used pumpkin in pie crusts, but not in the filling. 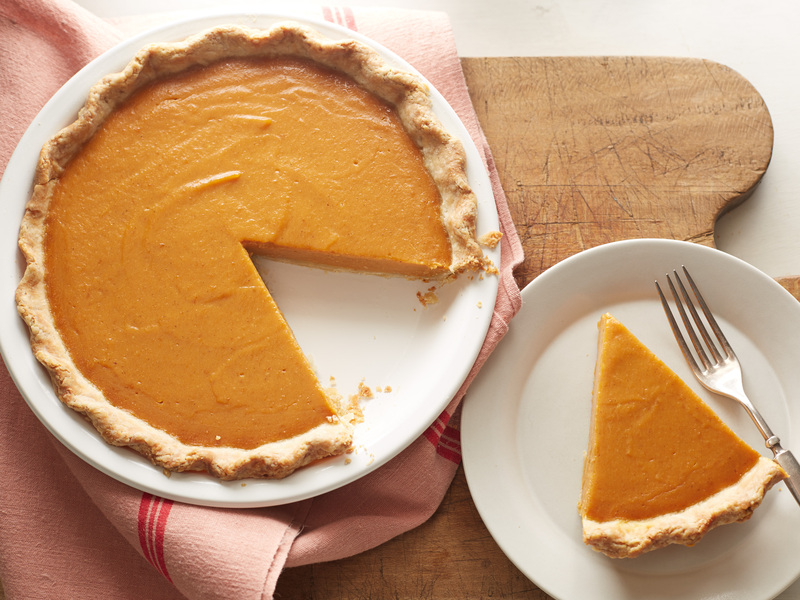 The type of pumpkin pie we know today was not made until the 1700s. 1213 King John of England ordered 3,000 capons, 1,000 salted eels, 400 hogs, 100 pounds of almonds and 24 casks of wine for his Christmas feasts. 1252 Henry III hosts 1,000 knights and nobels at York. 600 oxen are consumed. 1415 England’s Henry V orders food distributed to the citizens of Rouen who are trapped by his siege. Henry himself dines on roast porpoise. 1642 Sir Isaac Newton was born. Newton was an English mathematician famous for being hit on the head by a falling apple (probably a ‘Flower of Kent’ variety). He also wrote ‘Mathematical Principles of Natural Philosophy’ in 1687. 1887 Conrad Nicholson Hilton was born. Founder of one of the largest hotel chains. It all began when he and his father turned their large New Mexico house into an inn for traveling salesmen. 1944 Henry Vestine of the music group ‘Canned Heat’ was born. 1946 Jimmy Buffet, musician, was born. ‘Cheesburger in Paradise,’ ‘Margaritaville’ etc. 1958 ‘The Chipmunk Song’ becomes the only Christmas song in U.S. in history to be Number #1 on Christmas Day. 1960 Dr. Irving Cooper received a wine bottle opener for Christmas. It injected carbon dioxide gas into the bottle to force the cork out. He noticed the gas was extremely cold coming out from the needle like device. This gave him the idea to develop a brain surgery technique using liquid nitrogen to freeze tiny areas of brain cells or tumors. 1971 Neil Hogan of the musical group The Cranberries was born.